Nobody is perfect. In our personal and professional lives, we all make mistakes. As email marketers we are not immune to mistakes. 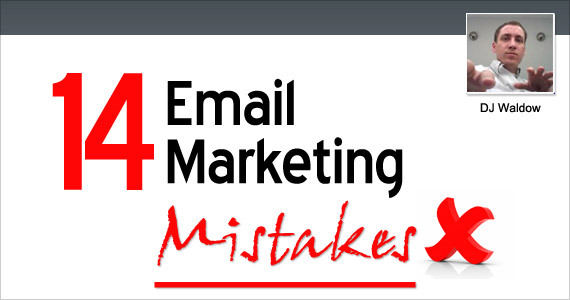 Below is a list of 14 email marketing mistakes. View more presentations from DJ Waldow. I have studied all the major sales and marketing programs related to email marketing over the last decade and Dorian’s Pure Email Sales is over and above the rest. The best part is that you have no pressure, work with less and make more money. Every sales manager who wants to attract and retain quality sales staff and protect/enhance their company image/ brand needs to be a student of Pure Email Sales. Checkout http://www.pureemailsales.com for more information. Have other ideas of what not to do. Add them to the list.